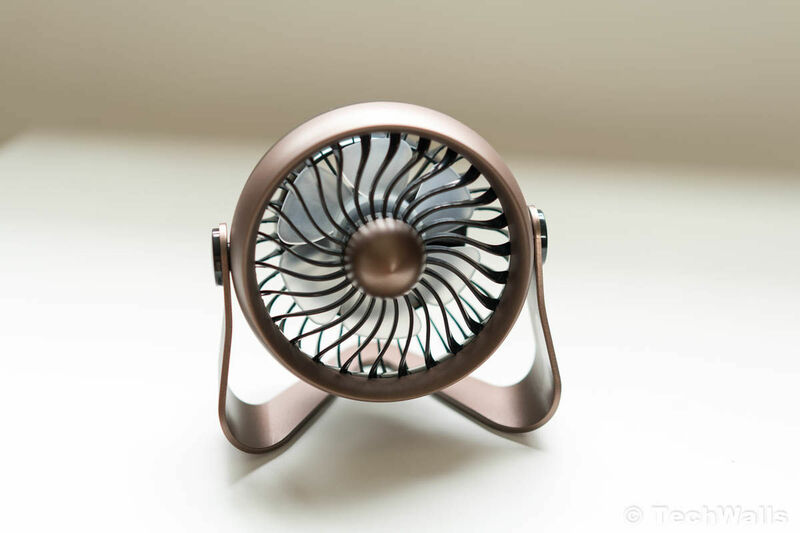 OPOLAR is a well-known brand since they have made some of the best-selling USB-powered fans on Amazon. The OPOLAR mini fan is their new product and it comes with some great improvements. Let’s find out if it’s better than the previous generations. The OPOLAR fan has been redesigned from the inside out, so you can see that it no longer looks like a cheap product. It has a bigger metal base with non-slip footpads, so it feels very sturdy during operation. The base still allows us to swivel the body, so we can adjust the angle easily. 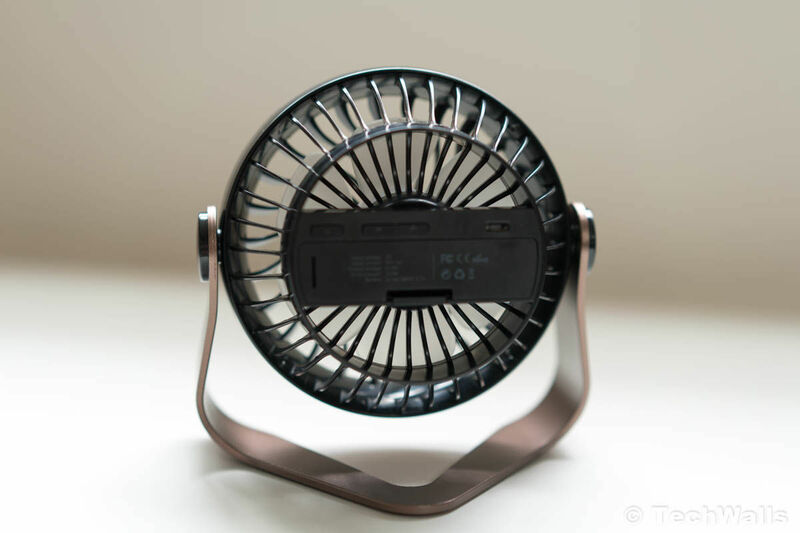 Unlike other cheap products, you can power the fan using the included rechargeable battery or any power source with a USB connection. I find this helpful in the case of power outage, I would be able to use my power bank to run the fan. 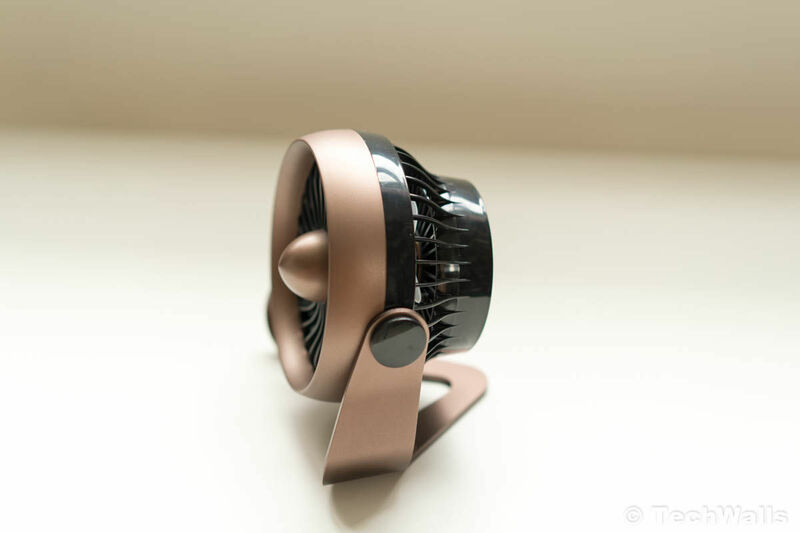 The built-in battery of the fan could last from 2 to 8 hours. A limitation of the fan is that it’s pretty small. The OPOLAR F401‘s round frame has the diameter of around 5 inches while this one measures just 4.5 inches. Therefore, the blades of this fan are shorter as well. However, the airflow is still pretty good if you use it for 1 person only. It has 4-speed settings with the speeds from 2800 to 4000 rpm. An additional feature of the fan is the essential oil diffuser. You can open the part at the center of the fan and drop some essential oil into the sponge inside. This feature is nice but I don’t really use it much. The OPOLAR fan is a very well-built product in a modern design. However, it costs twice as much as the OPOLAR F401, so you totally can buy the old version if you’re on a budget.